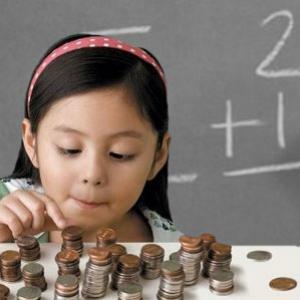 Researches reveal the fact that rarely schools teach essential money management lessons. However, it is quite essential to have financial literacy. Researches reveal the fact that rarely schools teach essential money management lessons. However, it is quite essential to have financial literacy. For example, planning a suitable budget is the first step in financial management. You should learn how to use your income properly; that is, how to meet your daily necessities, have funds for recreation and enjoyment as well as save money. Here are 4 other essential money management lessons which will help you in managing your finances effectively. What credit score means - It is a number that depicts your creditworthiness - whether or not you are creditworthy to your creditor/lender. A high credit score means you're creditworthy and you can take out loans at suitable terms and conditions. If you do not have a satisfactory score, then you may experience credit denial or might have to pay relatively higher interest rate. However, if you are starting to build your credit score, then opening a savings and checking account will prove to your lenders that you can manage money well and once you obtain a credit card, manage it responsibly to build a good score. The outcome of having too much debt - Your personal financial situation might be in a mess if you incur too much debt, be it your auto loan, student loan or credit card. Try to not incur too much debt on your credit card; always use your credit card to buy things which you can repay at the end of your billing cycle. Even if you buy a high price item with your credit card, make a debt relief plan and pay off your outstanding dues as soon as possible. Also make a debt repayment plan to repay your auto loans, student loans along with any other loans within the due date. Difference between a checking and a savings account - You should not use a savings account for writing checks daily; you should use a checking account for the purpose. A savings account should be used to make your money grow. Usually you need to maintain a minimum balance for a savings account. Keep enough money in your checking account which offers zero or little interest, with an ATM card linked to that account so that you can withdraw dollars as and when you want to. How to write a check properly - Rarely do we learn in school how to write a check; however, it is an important part of our financial life as an incorrect check can cost us dollars. You need to write the name of the recipient in the âpay to the order ofâ line. Write amount in the numeric form clearly in the box; remember to not give any space before or after the numeric amount you write. Also, write the dollar and cent amount in words, and draw a line on the remaining space after you've written the numeric amount in words. Do not forget to write the date on or after which you want the check to be encashed. At last, sign the check on the space provided. It is also quite important to learn the value of money. Remember a small amount saved each month can help to create a huge amount, which you can keep as an emergency fund or invest for better returns in the future. So, learn to save money right from young age. At the beginning of the month, plan a budget and set aside a dollar amount which you should not touch unless it's a real emergency and at the end of every year, calculate how much you've saved. It will motivate you to keep the habit and watch your money grow with time.